Hydraulic cutting systems specialist, Webtool, has announced a resettable emergency disconnect cutter for light and medium subsea well intervention. 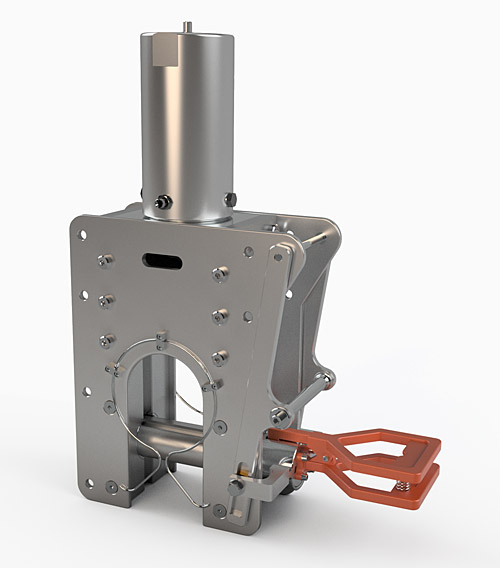 As an integral part of either a workover tool or dedicated emergency disconnect package, the Webtool guillotine cutter can now be reset subsea by ROV, avoiding the need to return the cutter to the surface vessel for resetting. The Webtool emergency cutter is a simpler and quicker emergency disconnection than more complex multi-line stab-plate systems for mixed material bundles. Within a well intervention emergency disconnect package, the bundles are securely positioned in the mouth of the cutter. Multiple fluid transfer lines and hydraulic flying leads (HFL), steel tension member, fibre rope, reinforced hoses, electrical conductors, cables and electrical flying leads (EFL), are all cut in single guillotine action taking just a few seconds. The Webtool cutter offers considerable weight savings compared with other emergency disconnect methods, and is easily retrofit to intervention systems. In the event of an emergency disconnection, the Webtool cutter is reset by the ROV releasing the blade and re-charging the hydraulic system. The ROV then places the new HFL and EFL / mixed material bundles in the jaw of the cutter. The Webtool emergency cutter is set and ready for action. As an alternative to rechargeable accumulators, Webtool also offers a solution which requires no external power source, and automatically activates when the emergency disconnect package separates. In this way, proven Webtool cutting heads and blade technology are combined with hydraulic pump actuators to provide the mechanical power necessary to cut modern connection bundles. The Webtool Emergency Disconnect is part of the Webtool range of high performance cutting tools, designed and manufactured exclusively by Allspeeds Ltd.